I opened my law firm, The Law Offices of Sean M. Cleary in 2005 and since then I have been doing the exact type of practice that I have today. 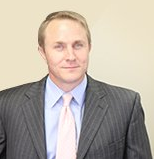 Over the last 18 years, Sean M. Cleary, owner and President of The Law Offices of Sean M. Cleary has established a reputation as a Miami experienced, highly skilled personal injury lawyer. He has helped numerous victims who have suffered injuries due to someone's negligence hold the responsible parties liable by compelling them to provide substantial compensation. Together with the moral aspects of each case he has to deal with, Mr. Cleary is always concentrating on having good results in court. His entire working philosophy resides on having an open and flexible communication process with every client or party involved in a case.